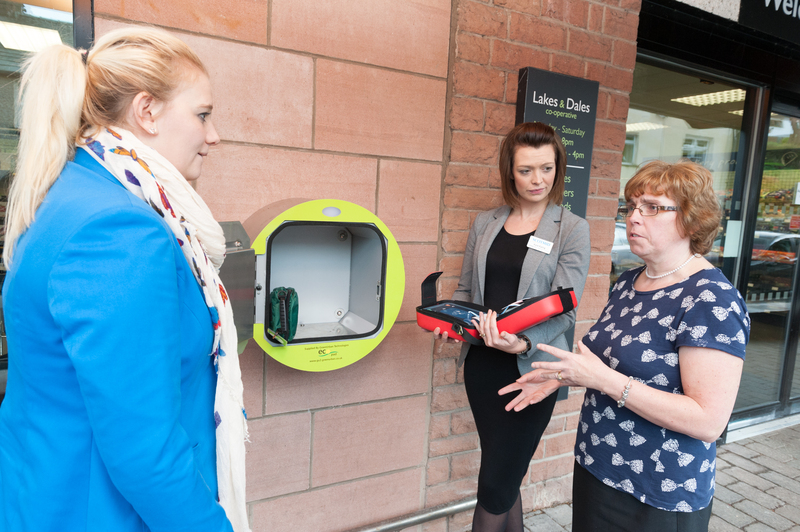 The Lakes and Dales Co-operative store in Lazonby, Cumbria has unveiled an ecopad; a new external cabinet for the store’s community public access defibrillator (CPAD). 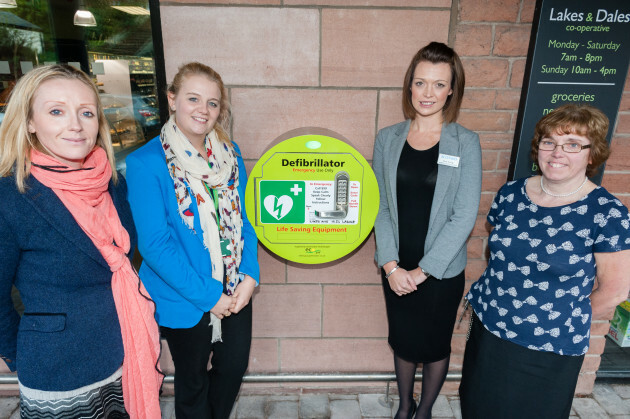 A defibrillator was placed in the store as part of a wider initiative by Scotmid. Scotmid has been working with local ambulance services since 2011 to bring defibrillators to communities where they are most needed such as remote communities, places of high cardiac arrest and areas of high footfall. 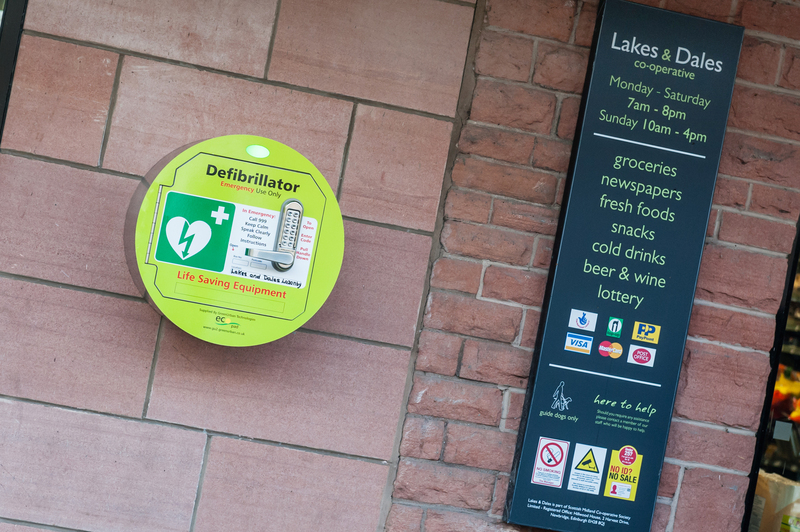 The Lakes and Dales branch in Lazonby is the first of Scotmid’s 42 defibrillator stores to have an ecopad fitted and the co-operative is considering which of its other communities may be suitable to receive the same equipment. Built to cope with the challenges of the British climate, the ecopad features a frost protection heater, an internal light for use at night time, single hand entry and a mechanical lock. 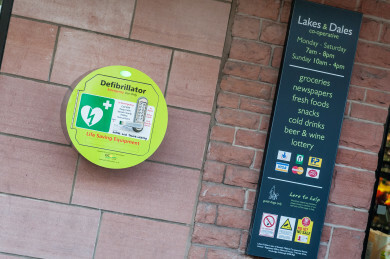 Developed locally by Flusco based, Green Urban Technologies, the ecopad makes the defibrillator available to the Lazonby community twenty four hours a day rather than just during store opening hours. The cabinet can only be opened using a unique code which is held by the North West Ambulance control centre and also within the store so that anyone in the village calling an ambulance in an instance of cardiac arrest can be advised of the code to retrieve the defibrillator.